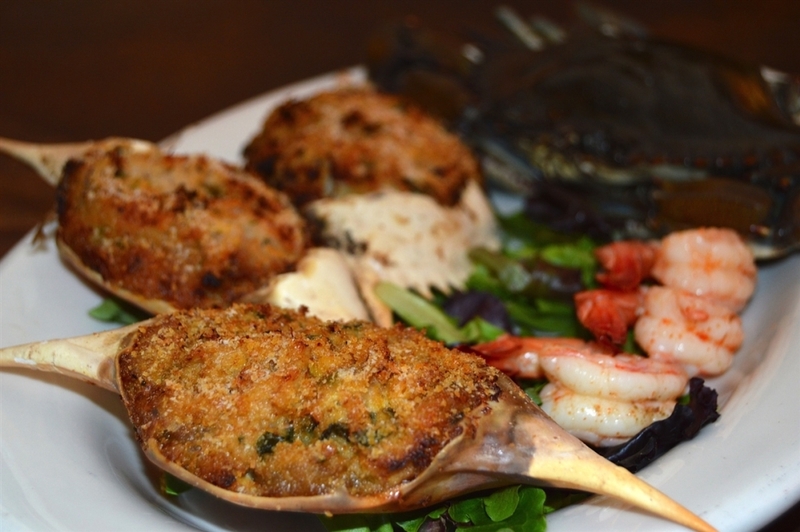 Seafood like shrimp, crab, crawfish and catfish play a big role in Cajun cooking and here at Cajun Ed's we have some of the best seafood concoctions you could imagine. Start off with a fabulous Shrimp Gumbo or Cajun Seafood Gumbo and follow it up with a whole, deboned Crab Stuffed Chicken that serves four. That's a mouth-watering meal! Our Shrimp and Crab Dressing is unbelievable and you can find it in our stuffed bell peppers, whole chickens, chicken breasts, jalapeno peppers, shrimp, crab and catfish. These are some of our most popular dishes. You can also get a one-pound serving of our Crab and Shrimp Stuffing for a nice side dish. Don't forget the Shrimp and Crab Cakes or, for the piece de resistance, order up the Large Turducken with Shrimp and Crab Dressing, large enough to feed a party of 25!